We know managing pain can be difficult. 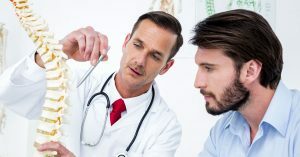 If you’ve been injured or if you have chronic pain, you want to be treated by a doctor who understands what you’re going through and who knows how to help. You want to be able to get back to optimum health and you want a treatment plan that is as safe as possible. At Total Chiropractic Care and Wellness, we’re committed to trying to help our clients manage pain without resorting to surgery or prescription pain medication. We also pride ourselves on giving individual care at Total Chiropractic. Dr. Todd Goldman consults with all of our patients. He will take a medical history and give you a detailed medical examination, which will consist of neurological and orthopedic tests and occasionally X-rays. Then we’ll design an individualized treatment plan for you. When you come to see Dr. Goldman, you’ll see the Total Chiropractic difference and we want to tell you why. To discover why the Total Chiropractic difference can change your life and get you back to optimum health you just need to ask our patients. Our doctor does everything he can to treat pain because he’s had back pain himself. He was an athlete but his sports career began to take a toll, particularly on his lower back. He received chiropractic adjustment, but after he twisted his back the wrong way, the situation got worse and an MRI revealed he had a herniated disc. He realized he was going to need surgery. At Total Chiropractic, we’ll do everything we can to avoid recommending surgery to our patients, but we’ll always be honest with you and tell you when it’s your best option. At Total Chiropractic Care and Wellness, we focus on each patient as an individual. We design treatment programs that are suited for you and we’ll always be upfront about what your options are. That’s the Total Chiropractic difference and we can make a difference in your life. If you’re suffering from back or neck pain, or have been in an accident and want to get back to optimum health, contact us today.